It's often the in between moments that end up being the best photos. With four kids under the age of six, we knew it would be tough to get everyone to look at the camera and smile at the same time. This photo really encapsulates the love and craziness of a family with four small kids. Each personality is showing through, and you get a sense of what this period of their lives is like. As a mother, I treasure these moments. Children change so fast, it's easy to forget their little sayings and idiosyncrasies. 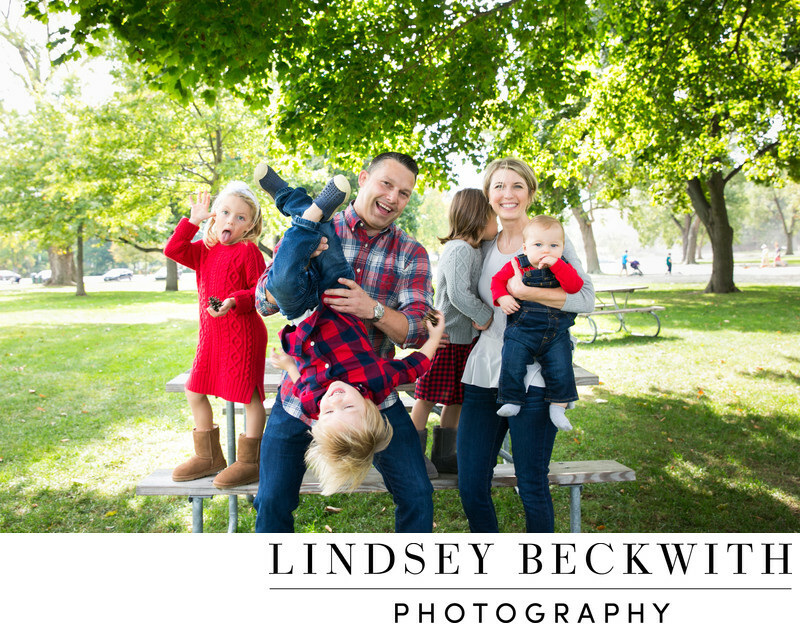 Authentic family portrait photographed at Edgewater Park in Cleveland, Ohio.